Stokes Pharmacy is excited to have formed our very first advisory council which includes some of the most forward-thinking leaders in the veterinary industry. With their advice and expertise, we look forward to taking Stokes to the next level. Director, Clinical Studies, VCA Oncologist at VCA Katonah Bedford Veterinary Center – Bedford Hills, NY Dr. Bergman is the Director of Clinical Studies for VCA. He is the principal veterinary investigator for the recently fully licensed canine melanoma vaccine (Oncept). Dr. Bergman is an adjunct faculty member of the Memorial Sloan-Kettering Cancer Center. 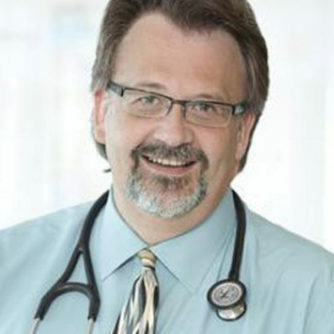 Prior to Dr. Bergman joining VCA, he served as the Chief Medical Officer for BrightHeart Veterinary Centers from July 2007 to August 2011; from 1999 to June 2007 he was the head of the Donaldson-Atwood Cancer Center at AMC. After finishing veterinary school from Colorado State in 1990, he was an intern at Kansas State (90-91) and returned to CSU for his medical oncology residency (91-94) and then completed a PhD Fellowship in human cancer biology from the M.D. Anderson Cancer Center in Houston (94-99). He was previously Chair of the ACVIM Board of Regents and President of the Veterinary Cancer Society. Dr. Bergman has been a veterinary oncologist at Katonah Bedford Veterinary Center since 2007. Debbie Boone, self-professed “customer service geek and champion for animal health,” began her training in business management and customer care at 12 years old while working in her family’s restaurants. A love of animals led her to a bachelor’s degree in animal science from North Carolina State University and her first job in the industry as a client care representative at an animal hospital. Her business, retail, and hospitality background quickly moved her into hospital administration, and she managed AAHA-accredited hospitals for 23 years. Her unique skillset includes experience working with a variety of veterinary hospitals, including small animal, mixed animal, specialty, and emergency practices. She also has experience with shelter management. Debbie is considered an expert in team communication, the creation of positive practice culture, and the development of monthly paid wellness plans for veterinary practices. Acknowledged as a leader in change implementation and employee engagement, she has been sought out by major animal health manufacturers for her skills as a trainer and speaker. During her presentations, Debbie incorporates real-life stories that resonate with attendees and lead to glowing reviews. Her impressive list of speaking engagements includes WVC, AAHA, Midwest and Atlantic Coast Veterinary Conferences, and more. She has presented multiple VetFolio webinars and is the instructor for Patterson Veterinary Supply’s Communication and Service class. Her frequent one-on-one contact with veterinary professionals keeps her abreast of the daily challenges veterinary practices face and the creative solutions they have found to overcome those challenges. Debbie co-authored The Veterinarian’s Guide to Healthy Pet Plans—How to Design and Implement Successful Preventive Care Plansand has been published in the VHMA newsletter, Firstline, DVM 360online, Veterinary Team Brief, Trends magazine, and more. 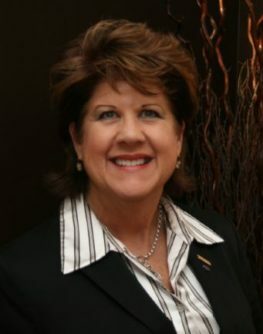 She is a member of VHMA, AAHA, VetPartners, and multiple veterinary business and management groups and also serves on the AAHA LINC committee, assigned with selecting the AAHA Board of Directors. She is a member of the Board of Directors for VetPartners and the Fear FreeSMAdvisory Board and Speakers Bureau. Her latest project is the development of a Veterinary Practice Management concentration through the College of Agriculture and Life Sciences at North Carolina State University. Debbie’s business, 2 Manage Vets Consulting, helps practices develop extraordinary team communication and business skills, enhancing patient care, improving profitability, and increasing practice value. She strives to improve the lives of animals by using her expertise to improve workplace culture and the well-being of veterinary professionals. In her spare time, Debbie enjoys reading, attempting to play golf, walking on the beach with her husband, traveling, and watching ACC basketball. Ann completed a Bachelor of Science (Animal Science) in 1983, Doctorate of Veterinary Medicine in 1987 and Master of Science (Parasitology) in 1992 at Michigan State University. She was the Parasitology Section Chief of the MSU Animal Health Diagnostic Laboratory for a year before joining the Product Development and Registration department at Hoechst-Roussel Agri-Vet Company where she worked with fenbendazole and a variety of ectoparasiticides. She then moved to Heska Corporation developing the SoloStep line of heartworm point-of-care diagnostic kits. From there she joined PR Pharmaceuticals, Inc, helping to develop GLP, GCP and GMP systems while working on long-acting, biodegradable microsphere formulations of antiparasitics, growth promotors and insulin. In 2009 she founded Donoghue Consulting, LLC, providing regulatory affairs, product development and quality assurance services. She was part of the team that achieved conditional approval for the first lymphoma drug for dogs. 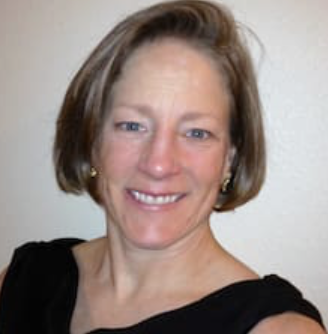 When not trying to figure out how to get the next drug through the regulatory process at FDA, she enjoys open water swimming, horseback riding, gardening, knitting, reading, ham radio, reproducing pianos and playing bassoon in local concert bands and orchestras. She’s also involved in several citizen science projects on weather and ornithology, and has held various leadership positions in national and international parasitology associations and in the local veterinary medical association and astronomy club. 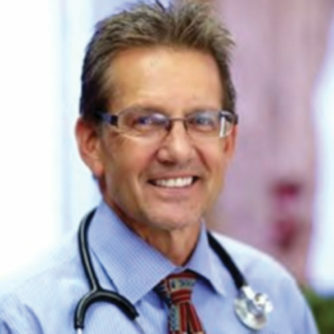 Chief Medical Officer, Pathway – Austin, TX Dr. Murtaugh earned his Doctorate of Veterinary Medicine in 1980 from the University of Minnesota College of Veterinary Medicine. In 1984, he completed a Residency in Veterinary Internal Medicine and MS at Ohio State University College of Veterinary Medicine and in 1985 he became Diplomate of ACVIM. From 1984 to 1998 Dr. Murtaugh was a Professor in the Department of Medicine, the Director of the Veterinary Teaching Hospital, and the Assistant Dean of Curriculum at Tufts University School of Veterinary Medicine. From 1986 to 1989, Dr. Murtaugh served as Chairman of the Organizing Committee for the American College of Veterinary Emergency and Critical Care (became AVMA recognized specialty in 1989). After serving as Chief of Staff at Dove Lewis Emergency Animal Hospital, Portland OR from 1998 to 2000, Dr. Murtaugh joined VCA as the Northeast Regional Medical Director from 2000 to 2010 and as Medical Director and ACVIM/ACVECC Specialist at VCA All Care Animal Referral Center in Orange County, CA from 2010 to 2015. In 2015, Dr. Murtaugh joined Pathway as Chief Medical Officer and is serving as Chairman of American Board of Veterinary Specialties (AVMA).